Recently, two student teams from UW participated in two events dedicated to students. One of them was the KRAKMUN conference, and another one – the ACM International Collegiate Programming Contest. A delegation of seven UW students from the ISMMUN Club (Instytut Stosunków Miedzynaradowych Model United Nations Club) participated in the Cracow Model United Nations (KRAKMUN) conference that was held from 6th to 8th April at the Cracow University of Economics. The UW delegates, Elizabeth I. Lekahena, Amir Toumie, Thomas Vande Velde, Michal Nowakowski, Isra Zaheer, Samuel Asante and Youssef Ramadan, have been learning the Rules of Procedures, putting them into practice and training their skills in public speaking and leadership. The roles of UW students varied from being a either Director committee of UN Commission on Science and Technology for Development (UNCSTD), to delegates representing different countries in four different committees including Organization of Islamic Cooperation (OIC), Organization of Economic Cooperation and Development (OECD), UN Framework Convention on Climate Chang: Conference of the Parties 24 (UNFCCC COP 24), and UN Security Council (UNSC). Students were delivering their speeches, discussing, proposing solutions on the issues of the agenda of their committees and preparing a draft resolution. The session ended with the majority of the committees passing resolutions. The delegates performed very well during the conference and won several awards, including Best Delegate in their allocated committees, one Honourable Mention and verbal Honourable Mention. The UW delegation was awarded by the Secretariat as Best Delegation of KRAKMUN 2018. The ACM International Collegiate Programming Contest (ACM ICPC) is the most prestigious programming contest for students. 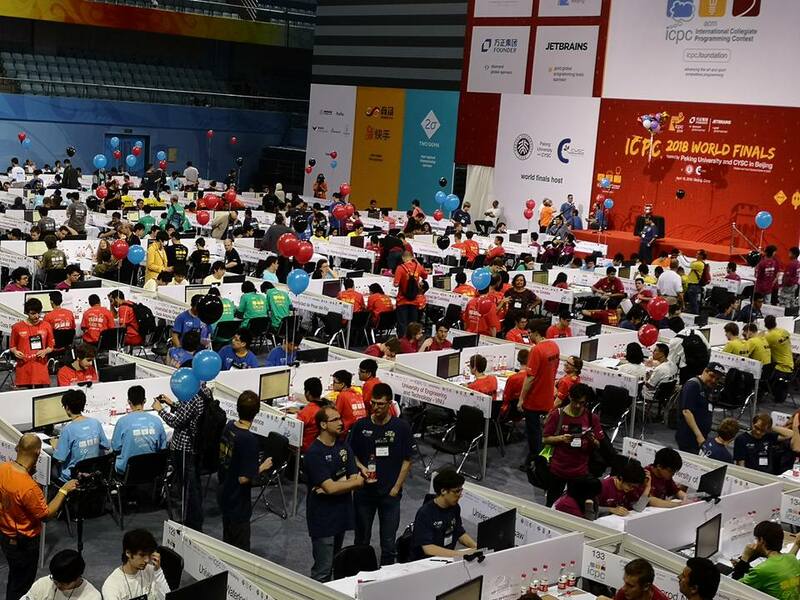 In this year, the ACM ICPC World Finals took place in Beijing at the Peking University and CYSC. 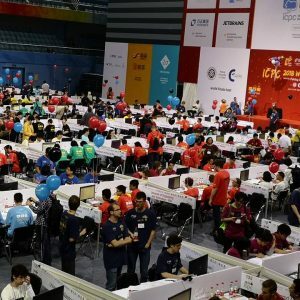 140 teams from 8 regions: Africa and Middle East, Asia East, Asia Pacific, Asia West, Europe, North America, Latin Amerika and Northern Eurasia took part in the contest. 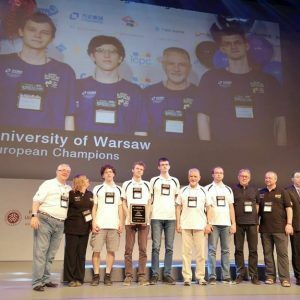 The team from the Faculty of Mathematics, Informatics and Mechanics of UW, that consists of Kamil Dębowski, Mateusz Radecki and Marek Sommer, was the best in the region of Europe and was ranked 14th. UW students solved 6 of 12 problems. 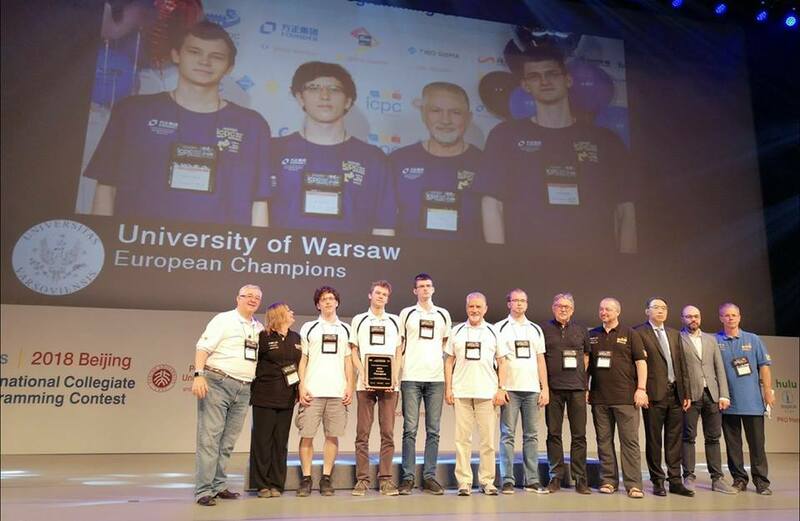 Warsaw Eagles won the Central Europe Regional Contest in Zagreb and got the right to take part in the World Finals in Beijing. Prof. Jan Madey, Prof. Krzysztof Diks from the Faculty of Mathematics, Informatics and Mechanics of the UW are the coaches of the Warsaw Eagles. Prof. Krzysztof Diks received the Lifetime Coach Award.